Kalalau Valley, one of the attractions on Kauai. Kauai offers countless beautiful places to see for anyone touring by car. Driving is a great way to explore some of the best attractions on Kauai. 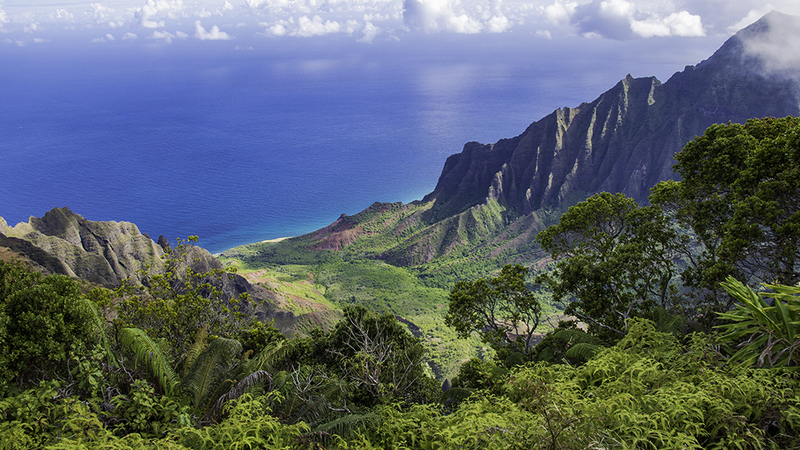 Here are some key places to stop on your excursion around the island of Kauai. Drive along Highway 50 towards Waimea. 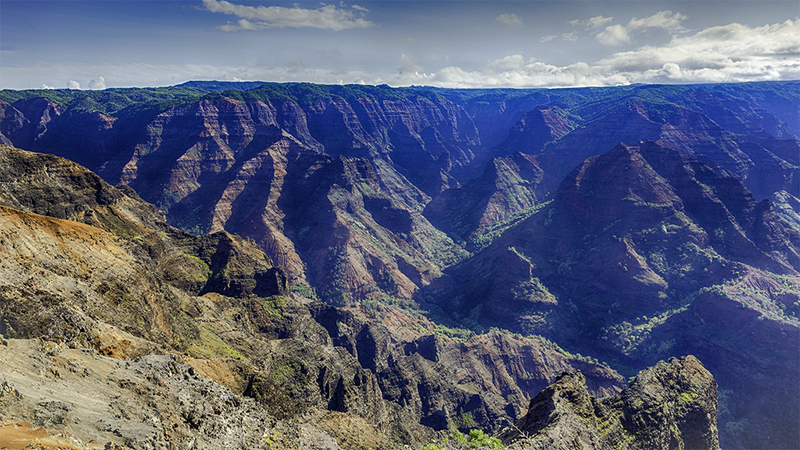 Then turn down Waimea Canyon Road to find plenty of lookouts overlooking the magnificent Waimea Canyon. It’s also referred to as the “Grand Canyon of the Pacific” and is one of the most popular attractions on Kauai. Also, stop at the Kalalau Lookout near Waimea Canyon. Here, you’ll get panoramic views of the canyon from around 4,000 feet high. Drive down this road for another hour. Then you’ll arrive at the biggest coffee producer in Hawaii, Kauai Coffee Estate. The walking tours on the farm also provide a great place to stretch your legs. And you can enjoy plenty of good coffee once you get here. 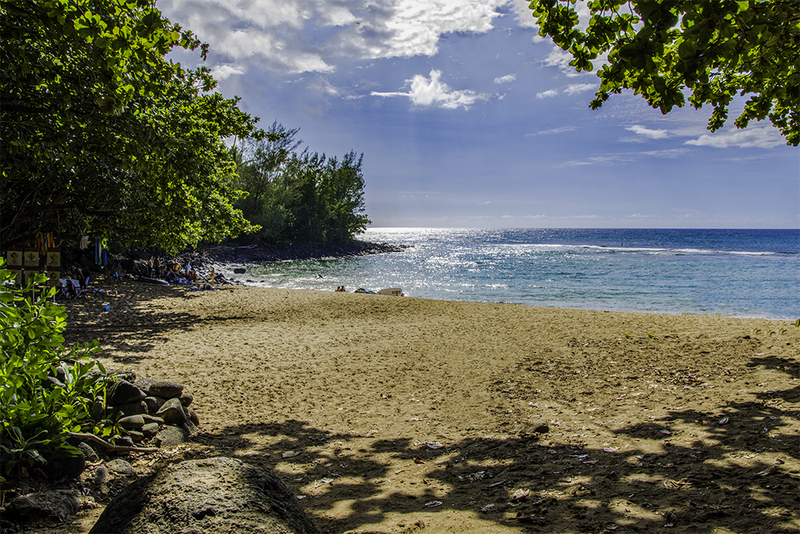 Ke’e Beach is an ideal place to go snorkeling to admire the vibrant reef fish. Beach side stands are often set up along the road. Here, visitors can buy fresh coconuts, juices and other local treats. This beach is quiet on early mornings and evenings. But be warned that it can get busier in the heat of the day. The parking lot at this place fills up fast. 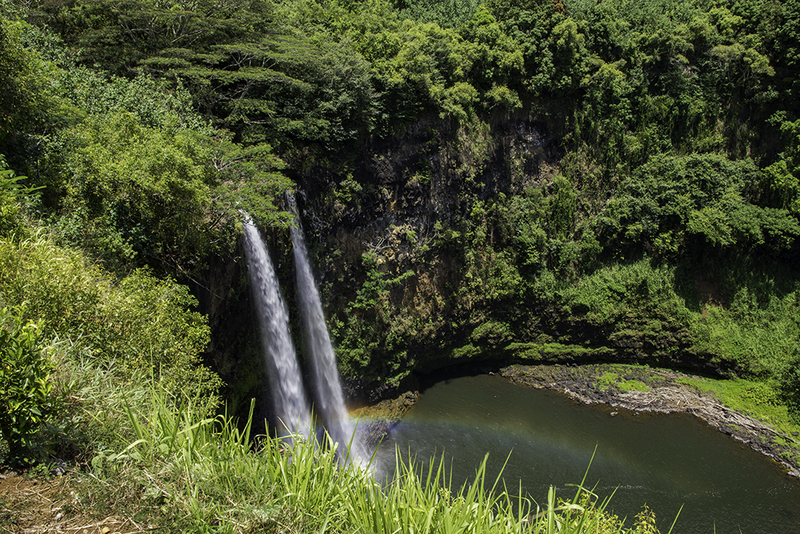 Near the town of Kapa’a, travelers can find Opaeka’a Falls surrounded by thick green foliage. With close parking access, this waterfall is easy to get to. And just across the street, there is the Wailua River Lookout and the Poli’ahu Heiau. Drivers pause here to enjoy the waterfall and river views. Plus, the historical significance of this heiau makes it a prime place to stop. Princeville is one of the more popular attractions on Kauai. So as you drive along the highway, plan to make a stop at the Hanalei Lookout. Once here, you’ll enjoy the views of iconic Hanalei Valley. With mountains in the background and taro fields in the foreground, this valley has scenery well worth remembering. Kauai’s waterfalls are some of the most remarkable that Hawaii has to offer. One of the best in Kauai is Wailua Falls located on Ma’alo Road. It’s an ideal place for travelers who want to break up their drive with a brisk walk. Keep your camera handy as this a great place to take pictures. Vacationers in Kauai will want to stop in the town of Kilauea. 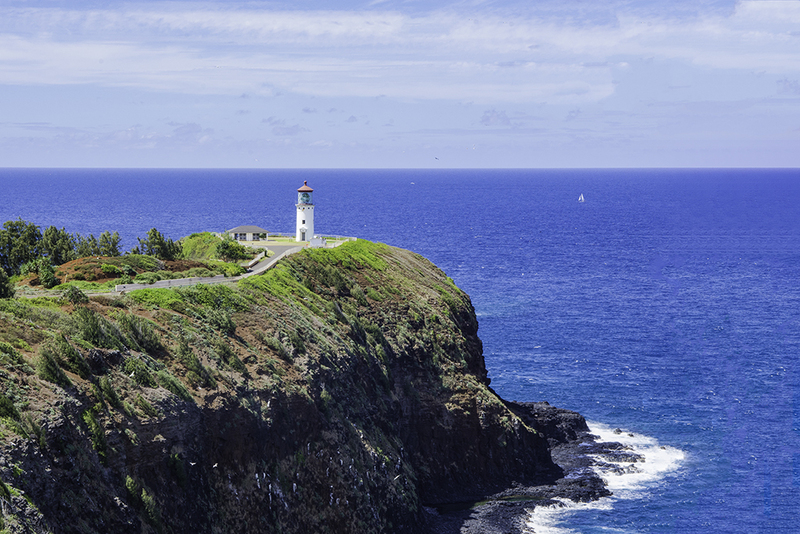 Nearby, you’ll find historic Kilauea Lighthouse standing prominently on the sea cliff. The lighthouse was built in 1913 and there are a number of picturesque trails that surround it. 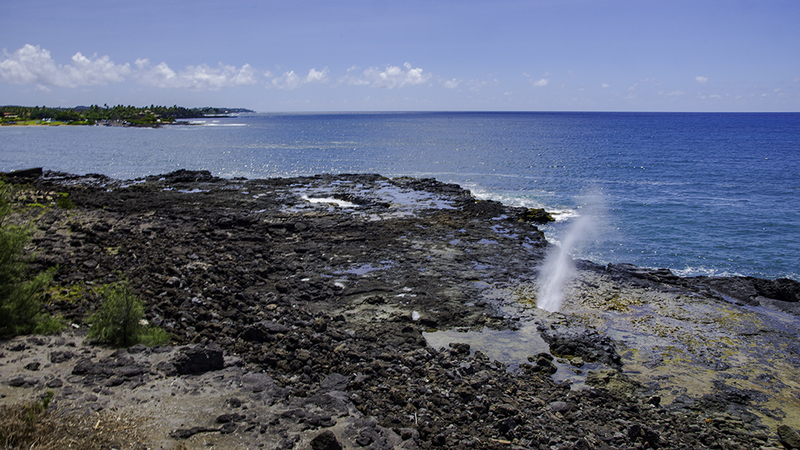 This is also a part of the Kilauea Point wildlife reserve where you can view sea birds along the rugged coastline. On the western side of Kauai, vacationers can stop at Polihale State Park. Here, you can walk along the beach that extends for many miles. You can also enjoy a picnic, set up camp or watch the sun go down. Whatever you do, you’ll enjoy a truly memorable experience at this state park. Near the resort area of Poipu, is the Spouting Horn Beach Park. As the waves crash against the rocks, water spews through a blow hole creating a regular geyser, accompanied by a furious hissing sound. This park usually has shopping stands where you can buy locally made jewelry and memorabilia. During the evenings, it is a great place to watch the sunset or spot seasonal migrating whales.